Dr. William Thomas Gemmell was born on the 18th of January, 1875 in Tuckersmith Township, Huron County. He was the 7th of 8 children born to Thomas Gemmell and the former Jane McFadgeon. His siblings were; John, Mary Jane, Agnes, Ellen, Anne, David and Elizabeth. His parents were farmers. 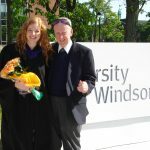 Dr. Gemmell attended Stratford Collegiate and graduated as a teacher from the Ottawa Normal School. 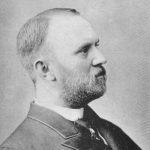 Dr. Gemmell taught school for a period of time, before enrolling in medical school. 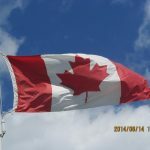 In the 1901 Canadian Census, he was listed as a medical student living in Toronto, Ontario. He graduated M.D.,C.M. from Trinity Medical School in conjunction with The University of Toronto Faculty of Medicine in 1903. Upon his graduation he was awarded a silver medal for his scholastic abilities. He married Mary Jane Woods on the 11th of November, 1903. She was born on the 22nd of May, 1870 in Wawanosh Township, Huron County, the daughter of Thomas Woods and the former Eliza McLean. She had a younger brother named Thomas. Dr. Gemmell practiced medicine in Wheatley after he graduated. His office and residence were located on Erie Street. 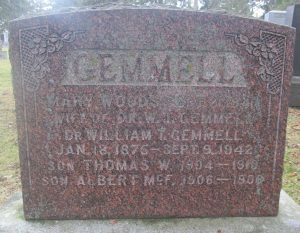 Dr. and Mrs. Gemmell had a son, Thomas Woods Gemmell born to them on the 7th of November, 1904. They moved to 33 Erie Street in Stratford, Ontario before their next child, a son Albert McFadgeon Gemmell was born on the 16th of August, 1906. Baby Albert died on the 6th of December, 1906. He was buried at the Avondale Cemetery. Another son, David was born on the 5th of May, 1908. The family resided at 72 Erie Street in Stratford. Sadly Thomas Woods Gemmell died on the 8th of May, 1910 at the age of 5. According to the 1921 Census, the Gemmell family resided at 95 Waterloo Street in Stratford. Dr. Gemmell enjoyed fishing and hunting and he was an avid photographer and gardener. He was a member of the Romeo Lodge No 164, the I.O.O.F. and the Sons of Scotland. Mrs. Gemmell died the 21st of September, 1940 and Dr. Gemmell died on the 9th of September, 1942. They are buried at the Avondale Cemetery in Stratford. Their son David Gemmell also became a doctor.